Home Supplements Are There Any Side Effects of Taking Too Much Protein? Are There Any Side Effects of Taking Too Much Protein? Is high protein supplementation dangerous for your health? Rumor has it that excessive consumption of protein can cause kidney failure. What are the side effects of amino supplements? This article will show you the truth about the effects of taking more protein in your diet. Protein is the main material for cell growth and regeneration. It is extremely important for your body. The second most abundant substance in your body next to water is protein. Furthermore, antibody cells are made of protein. All hormones and digestive enzymes are also made of protein. Despite the facts, many people still don’t understand the importance of protein for health. Protein is composed of many sub-units called amino acids. There are two categories of amino acids: essential and non-essential amino acids. As many as nine amino acids are in the essential category while on the other hand there are eleven which belong to non-essential category. All amino acids are necessary. The term essential simply means it cannot be synthesized by human body. A person normally needs 0.5 – 1 grams of protein per pound of body weight. If you weigh 150 pounds, you normally need 75 – 150 grams of protein a day. This is the normal daily intake for average people. If you work out regularly, you are going to need more protein to restore the cells which are damaged during workout. For those who are bulking up, the recommended daily intake of protein is 1.5 – 3 grams of protein per pound body weight. One capsule of amino supplement only gives you 1 – 2 grams of protein. That means, you need 30 – 50 capsule of amino to meet your normal daily protein requirement. One hundred grams of beef has 18-19 grams of protein. That means you need more than 300 grams of beef each day to get enough protein for your body. The fact is most people are often deprived of protein. Nutritionist Delia A. Hammock, MS., R.D. 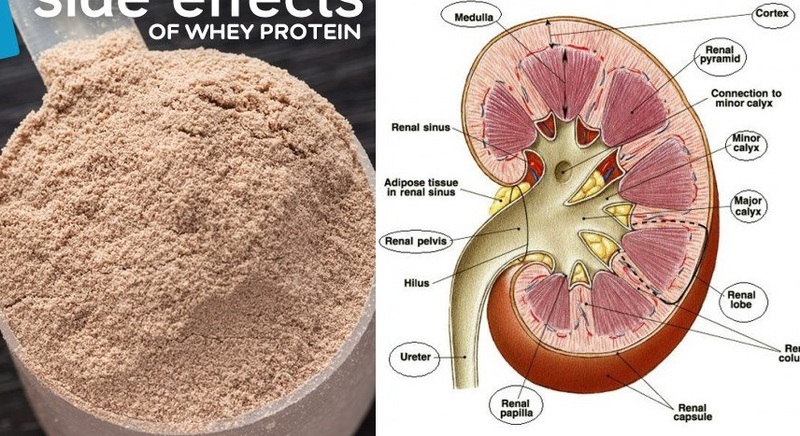 in her article in her book, Total Nutrition: The Only Guide You’ll Ever Need, says that there is no scientific proof that excessive protein intake can cause kidney failure. However, excessive consumption of protein by a person with kidney disorder may be harmful to his kidney. For people with kidney disorder, they have to watch their protein intake from their daily foods like meat, chicken, milk, etc. On the other hand, increased protein intake by normal people will not cause kidney disorder or even kidney failure.